Offering you a complete choice of products which include centrifugal fan. 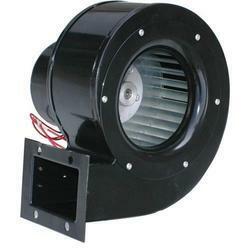 centrifugal fans are suitable for the exhaust of clean air, lightly dusty. Low, medium and high pressure simple and double inlet, models with various volume flow for the different necessities. Backward impellers at high efficiency with flat, wing and Sirocco profile. Indicated for the various application of the ventilation, air-conditioning and processes industry. Looking for Centrifugal Fan ?